Don't let losing your car keys or locking them inside your vehicle ruin your rest and relaxation on Lake Martin. We're here to serve you 24 hours a day. We can unlock all makes & models as well as cut and program new keys for your vehicle if you lose them. Lake Martin Visitors & Residents alike can rejoice at our affordable car key replacement and lockout services. We never charge an arm and a leg for locksmiths. If you need a locksmith near Lake Martin in the Dadeville area, give us a call today for a free estimate! Keys locked inside the car is a frustrating situation. We will help. Don't destroy your car. Hundreds of dollars in paint damage can happen quickly if untrained individuals attempt to gain entry to a vehicle. What's more is on modern vehicles, airbag sensors can be triggered, deploying costly airbags. People have been injured and even killed by airbag deployment. Play it smart, call a professional locksmith to assist. We have the latest & modern tools available for unlocking vehicle doors quickly and safely. Car Keys overboard? Flushed down the toilet? We've heard about quite a few ways to lose a set of car keys. First of all, you don't have to overpay. Second of all, there is no need to tow the vehicle to the dealership. 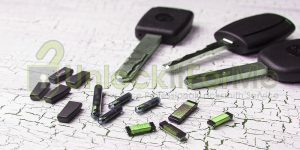 Furthermore our pricing for lost car key replacement is much less costly than all of the above combined. UnlockItForMe's automotive locksmiths will make a new set of keys to your car or truck in no time! Typically we can complete key replacement services within one hour of initial dispatch. Occasionally due to circumstances beyond our control, this can take longer. Certain vehicles, such as Audi and Volkswagen, may take up to 48 Hours to acquire the needed data to produce a new set of transponder keys. Good locksmith service is not hard to find near lake martin. UnlockItForMe is proud to offer 24-hour locksmith services to the Dadeville & Lake Martin area. Known to be a great local spot for boating, camping, golfing, swimming, & water skiing, but possibly the place where you become locked out or lose your car keys. Fear not! We're on call to save you 'round the clock! Call us today for a free locksmith estimate. 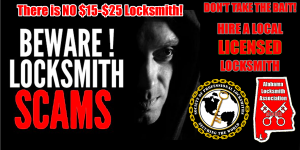 Most locksmiths can give you a "final cost" over the phone.